Often, my recipe ideas come from prepared or packaged products I see in the grocery store, because I get deeply curious about how they are made. I’ll look at the ingredients and slowly peel away the stabilizers and preservatives to get a sense of what makes up the food itself. And then I’ll try my best to give it a little makeover. I rarely buy packaged cookies because I love to bake so much, but there are a few that Joe buys because he really likes them. I would not come between that man and his milk chocolate Milano cookies. He also really enjoys Golden Oreos. And for whatever reason, that’s what got stuck in my head this week. I think Golden Oreos taste pretty good too, but the problem with vanilla on vanilla is that it can be too sweet and a little flat. 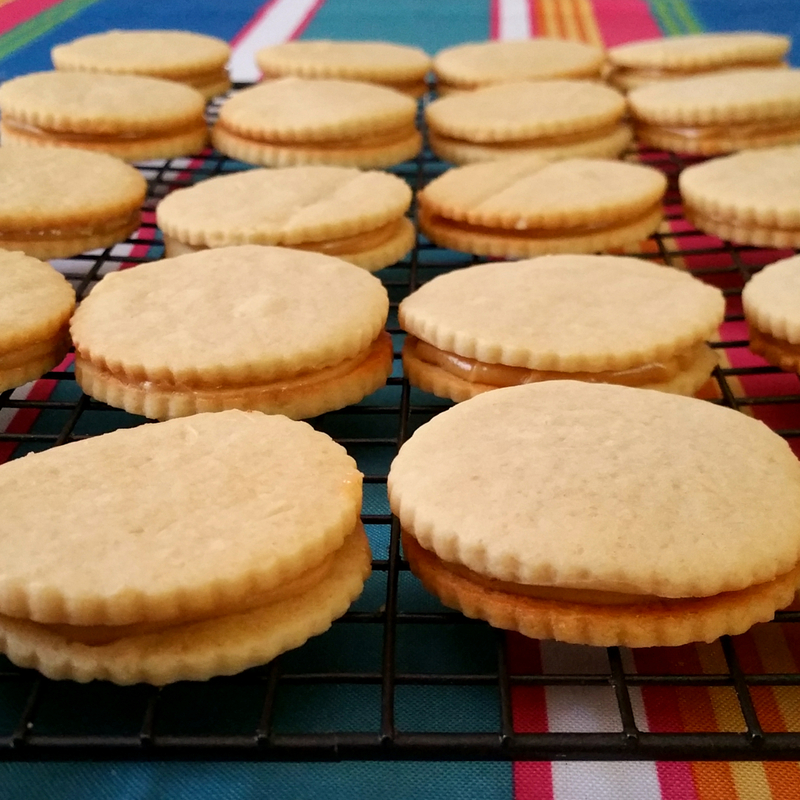 So my goal was to create a cookie with a little more depth of flavor that was crisp at the edges, but soft enough to bite without squeezing the filling out. 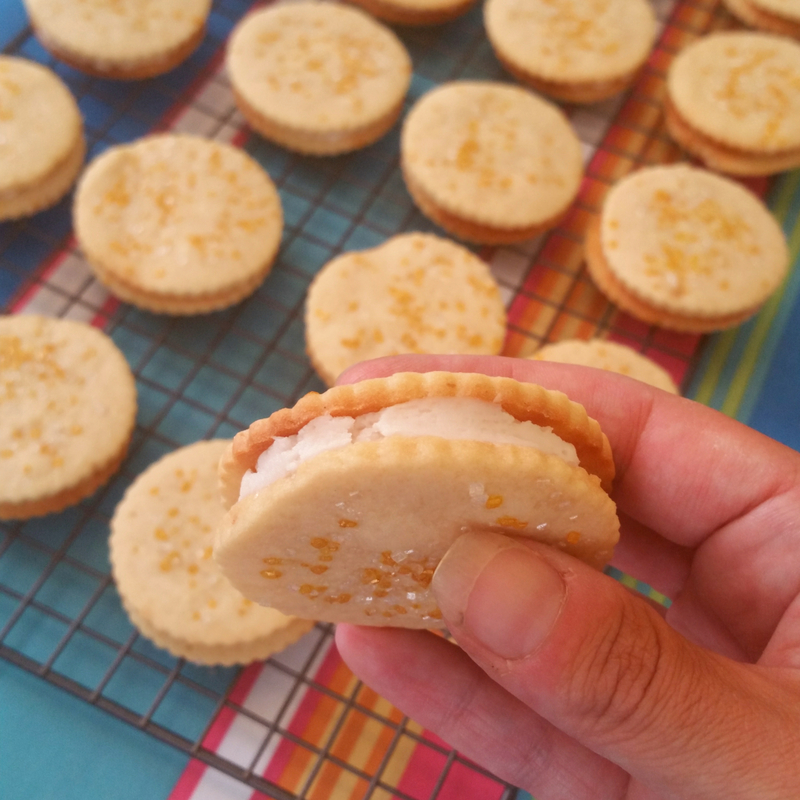 If the cookie had the right balance, the vanilla creme could remain nice and sweet without becoming cloying. So not really a mock Golden Oreo, but a cookie loosely based on the idea. I think I came up with something pretty good. Joe ate two this morning before he went to work, and that’s honestly the best feeling. Let’s make some sandwiches! 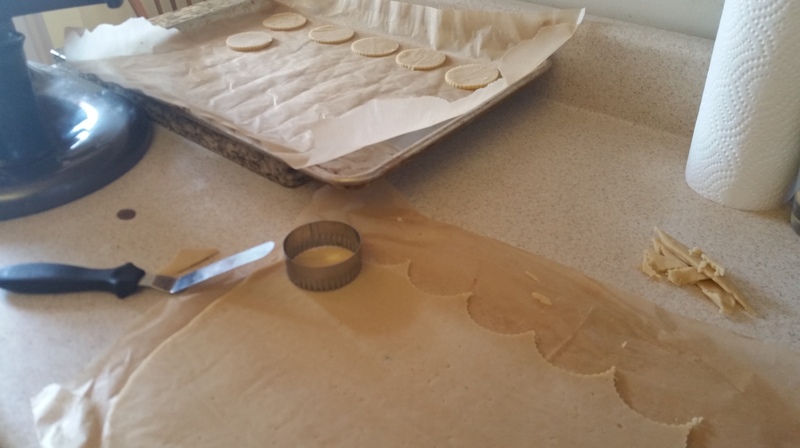 Get out four sheets of parchment paper the size of your baking sheets and set them aside. 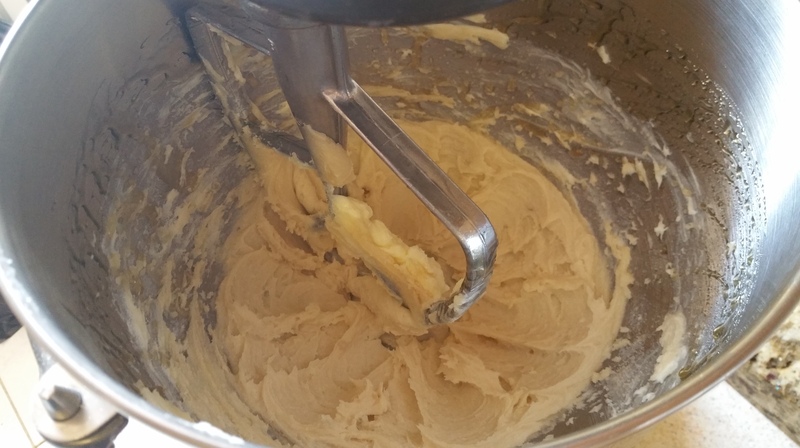 To make the cookies, use an electric mixer or hand mixer to beat the butter until smooth. Add the sugar, brown sugar, honey, and salt, and beat until fluffy (2-3 min). Add the egg and beat until the mixture thickens slightly. Scrape down the bowl as needed. 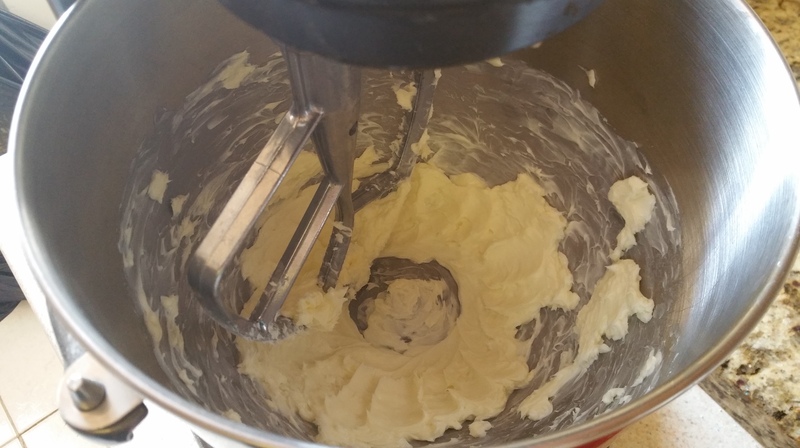 Mix in the vanilla until well incorporated. 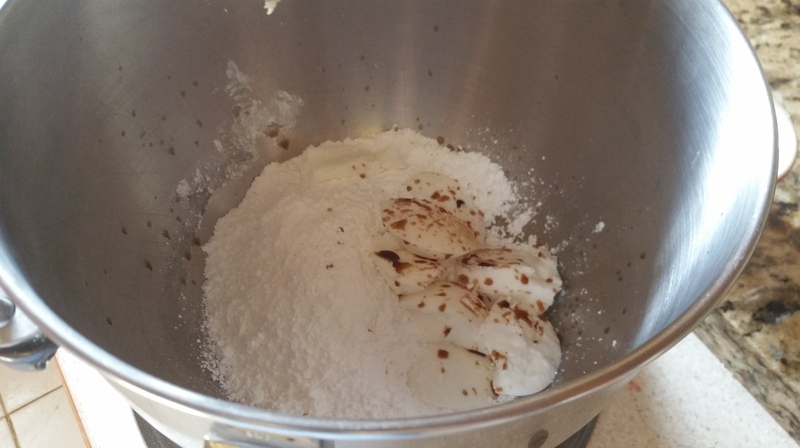 Stir in the flour just until a soft dough forms. 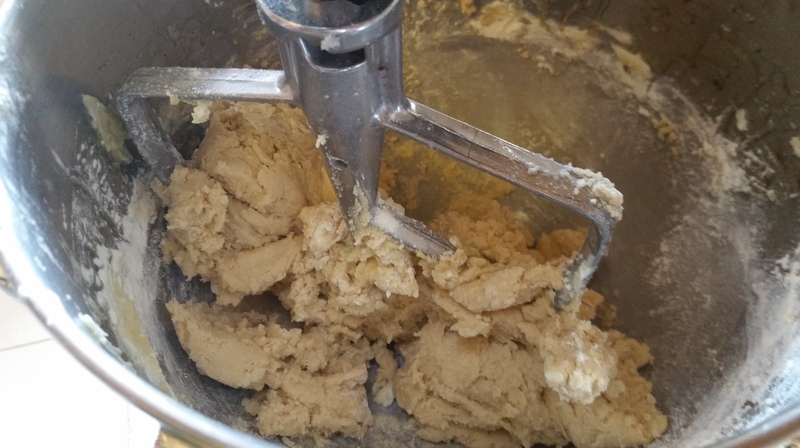 I used to find the rolling/cutting of cookies to be a little messy and inconsistent. The best part about the method we’ll use here is that it makes this step super simple and avoids adding any extra flour to the dough. 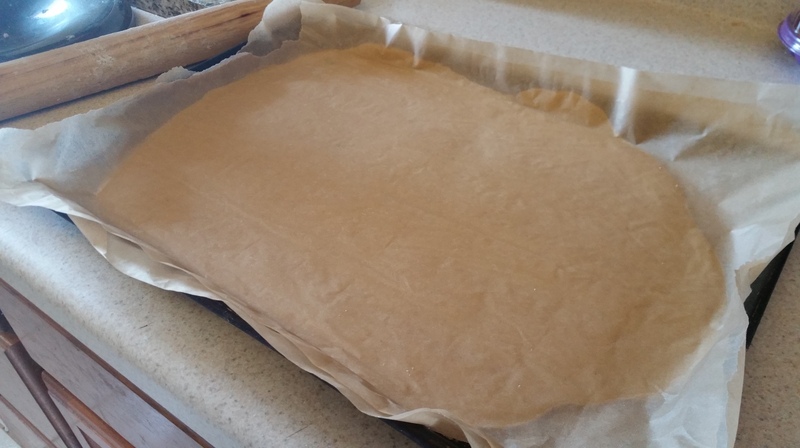 Gather the dough into a ball and put it on a sheet of parchment paper, place another sheet of parchment on top and roll the dough out to ¼ in. thickness. 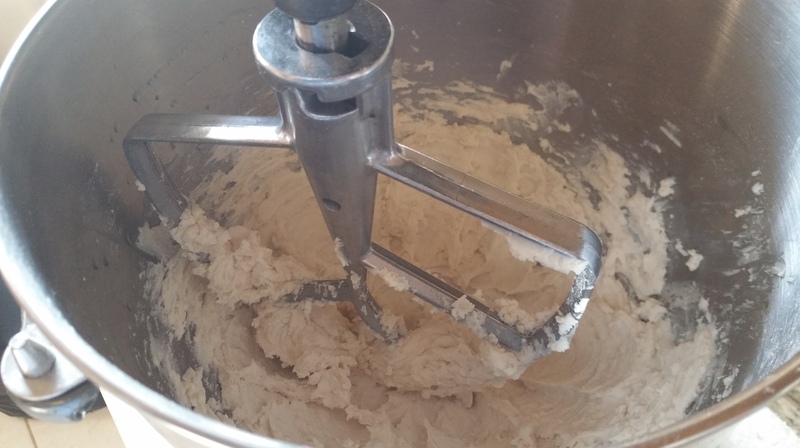 Place this on a baking sheet and put it in the freezer for 30 minutes or until the dough is completely firm. Place the two remaining sheets of parchment on baking sheets. Using a 2 in. 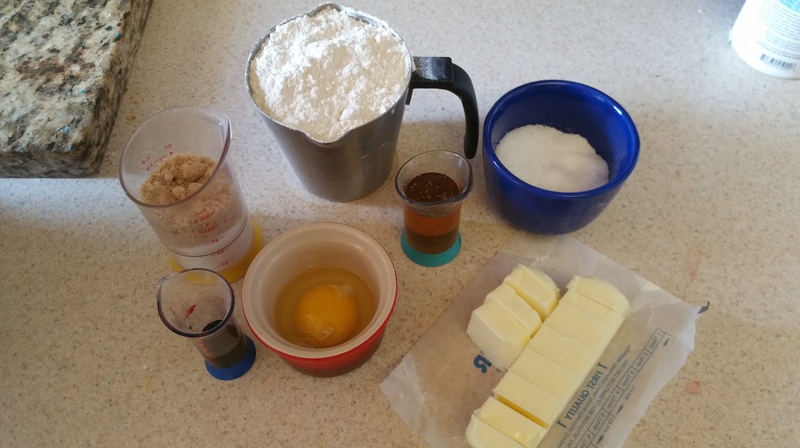 cutter, cut out circles of dough and lay them evenly spaced on the baking sheets. You will probably need to re-roll scraps once. Do it the same way as the first round of rolling, only this time you only need to chill for 5 minutes or so. While you are working with one sheet pan, put the other in the freezer so that the cookies stay cool and firm. I fit 20 cookies per sheet pan. They won’t spread, so you can place them fairly close. 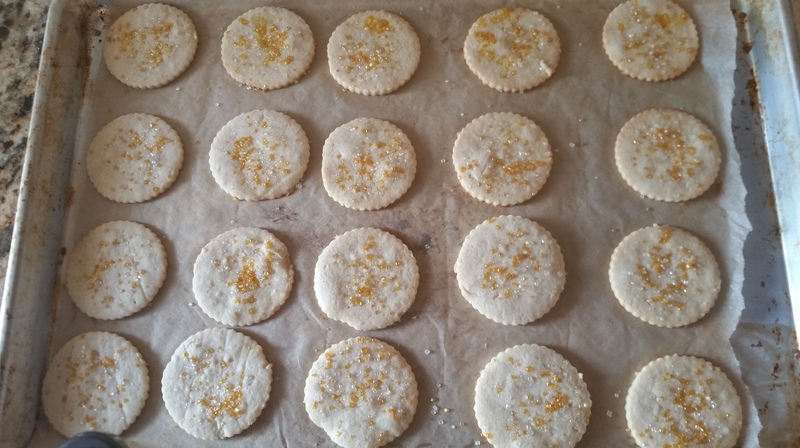 Very, very lightly brush the tops with a tiny bit of water and then sprinkle on the sparkling sugar. 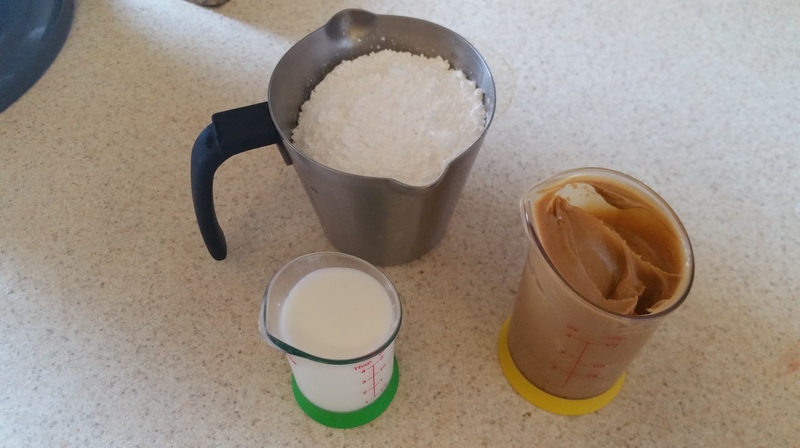 This will give the cookies a wonderful crunch! Bake for 10-12 minutes or until the edges are just golden-brown. 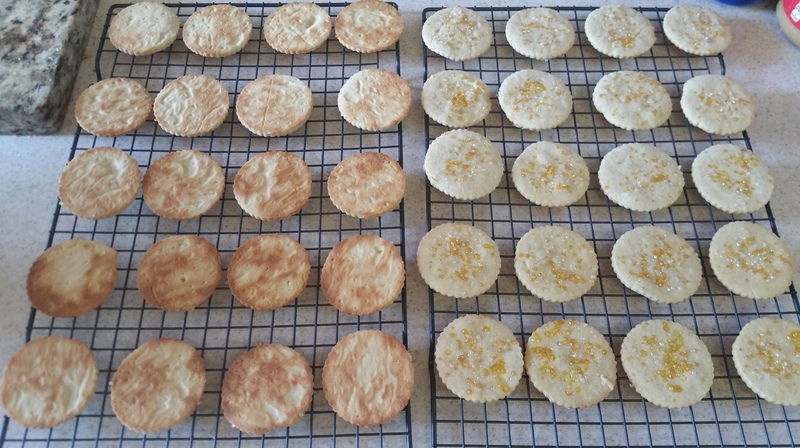 Let them cool on the baking sheet for a minute or two before moving to wire racks to cool completely. 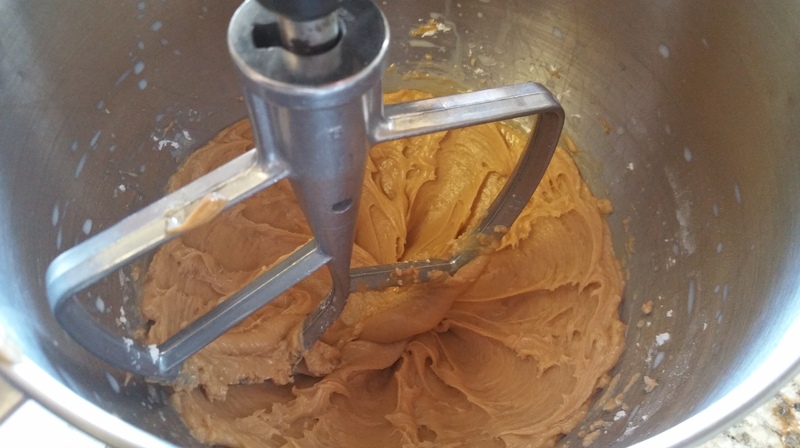 To make the filling, combine all ingredients except the water and mix well. It will seem too dry, but eventually it will come together. At that point, add just enough water to make it cohesive. Beat until smooth. It should be fairly stiff. 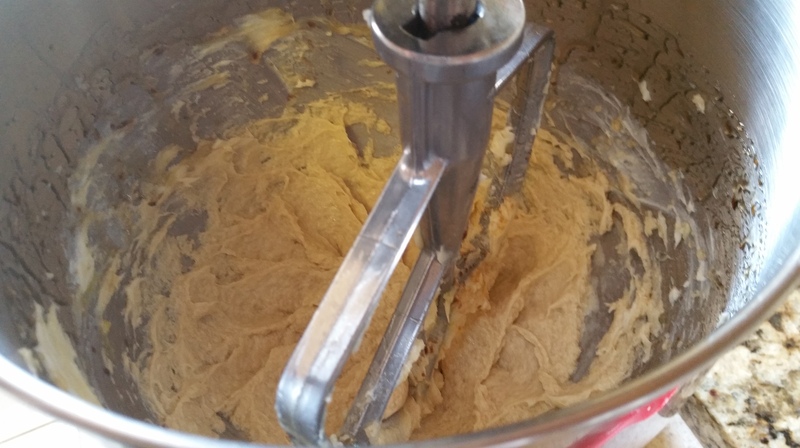 Assemble the cookies by turning half of them over and spooning or piping about 2 tsp. of the filling in the center of each one. 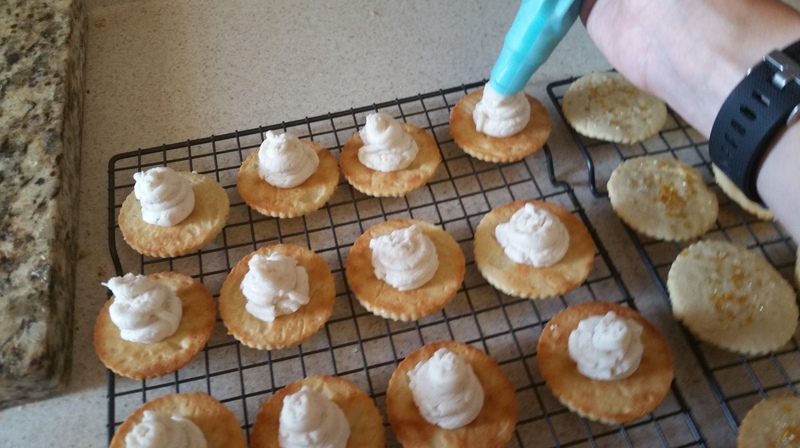 Place another cookie on top and gently press down in the center to spread the frosting out. 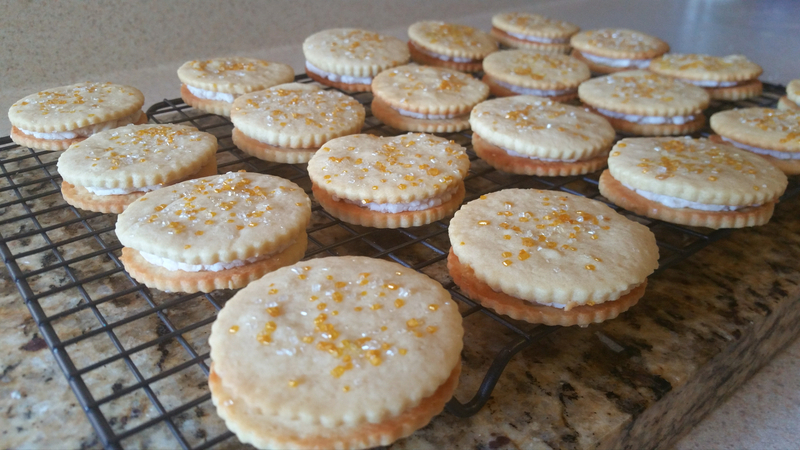 The crunch from the sparkling sugar is delightful on top of these slightly-soft-in-the-middle cookies and the filling is creamy and sweet. 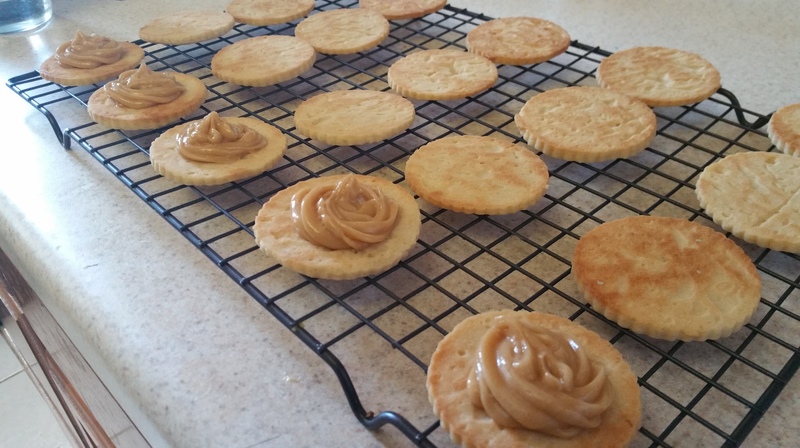 I love the flavor the honey adds to these too. I bet dark buckwheat honey would be almost caramel-y. Try out these little sandwiches and start dreaming up your own variations! A warm maple, bright lemon, or a rich chocolate-hazelnut all sound pretty heavenly to me. I think I might have to head back to the kitchen for more important experiments.